We are delighted to be celebrating Chinese New Year this weekend with three days of exciting festivities across the city. The Chinese Festival Committee Birmingham present Birmingham’s Chinese New Year celebrations, co-produced by Birmingham Hippodrome. Sponsored by Birmingham Airport and in association with Birmingham City Football Club, Chinese New Year 2019 is set to be the biggest and best yet with up to 40,000 visitors expected to welcome in the Year of the Pig with three days of free festivities across the city. On Friday 8 February spot the Chinese Lion parade around the Colmore Business District from noon and then head to St Philip’s Cathedral and Grounds for Chinese tea and a free lunchtime concert at 1pm in Birmingham Cathedral with performances from Birmingham Conservatoire and Dans Dance Company. Celebrations continue on Saturday 9 February in the city centre. 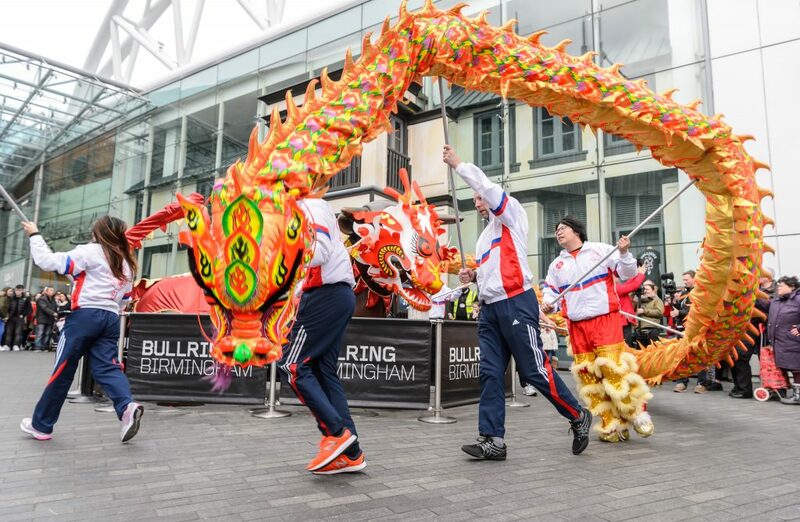 From noon expect a parade of lion and dragon dancers through Bullring & Grand Central along with acrobatics and martial arts from Shaolin Warriors, Hip-Hop dance from Hong Kong born choreographer Si Rawlinson and traditional fan and face changing dance from Dans Dance Company. On Sunday 10 February head to the streets in Southside Chinatown and around Birmingham Hippodrome for an afternoon of celebrations from acrobatics, circus, dance performances, market stalls and a fun fair. The Arcadian will host a dedicated lion and dragon dance area along with a karaoke stage and performances throughout the afternoon. Festivities will close with one final lion dance and of course firecrackers, on the main stage on Hurst Street. James Wong, Chairman of Birmingham’s Chinese Festival Committee said: “This year’s programme is hugely exciting and diverse and will see us working with all our partners to bring Chinese New Year to places and spaces across the City. We are very proud of our heritage in bringing this unique and unforgettable spectacle to life. Find out more about the weekend’s activities on our website.